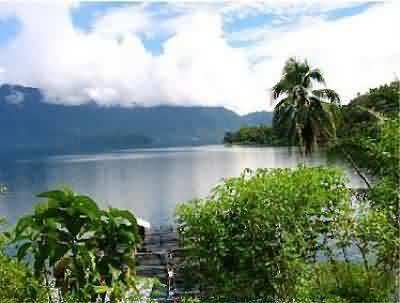 Lake Maninjau is located 38 Km west of Bukittinggi. 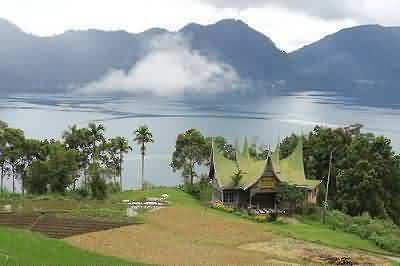 It is known as one of the most beautiful tourist destinations in Sumatera. 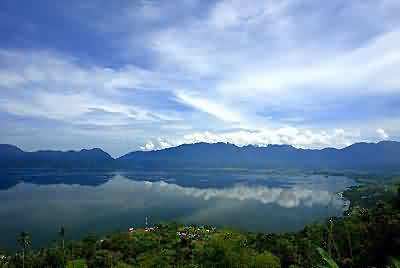 In the hundreds of thousands years ago Lake Maninjau which has 17 km length and 8 km width is a crater of a volcano which is inactive now. 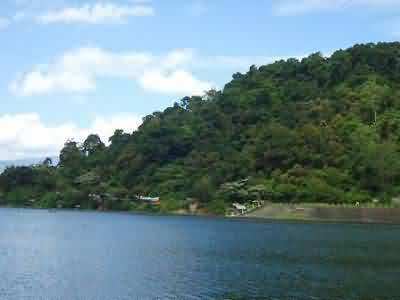 Lake Maninjau is surrounded by lush hill which was once the crater lip. Traveling down the hill from the top to the edge of the lake is truly an unforgettable experience. The winding road is sharply down the hillside, while we can see the sparkling water from the height of the hill. 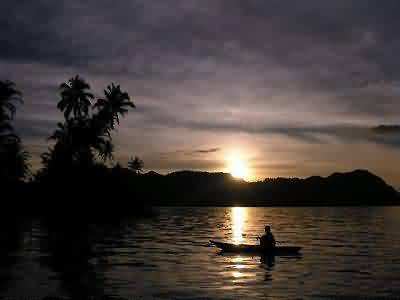 No less than 44 sharp bend (called Ampek-ampek flexure) must be passed before reaching the village Maninjau located on the lake. The villages in the area of Lake Maninjau represent the image of the natural Minangkabau villages, here are the hills that surround the lake, natural rice fields and of course the sparkling water of the lake when it touched by sunlight. Maninjau seems to always remind Minang society of their homeland no matter wherever they are. Lake Maninjau is located on altitude of 500 meters above sea level so the air in this place is pretty cool with the depths of 450 meters in some places. 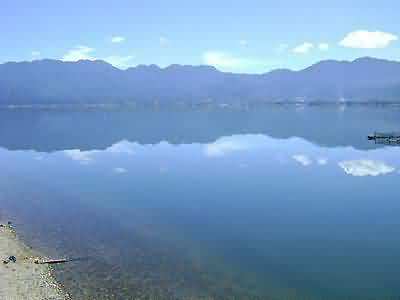 The lake is listed as the eleventh largest lake in Indonesia and the second largest lake in West Sumatera after Lake Singkarak which has an area of 129.69 km per square. There are many tourism facilities such as five-star hotels around this lake so you don’t need to worry about staying overnight. Maninjau is a place you’ll always remember. I know I do.